The body of the 22-year-old NYIT student from Syosset who went missing on February 24th has been found. 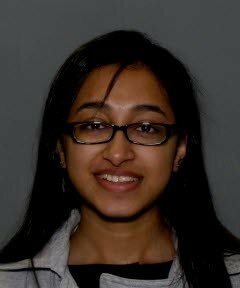 Origianl Release - Syosset, NY - March 10, 2014 - Crime Stoppers and the Nassau County Police Department are seeking the public’s help in locating Jasmine Joseph; 22 year old female Asian Indian 5’4”, 120lbs brown eyes, and black hair, who was last known to be in the vicinity of 37 Stuart Drive in Syosset, New York on Monday, February 24, 2014. She was last seen wearing white and black sneakers, black jeans and a green sweater; driving a 2012 Nissan Altima, Gray, New York registration plates GAD3453, vehicle similar to the one shown below. Subject: LongIsland.com - Your Name sent you Article details of "Update: Missing Syosset Woman Found Deceased"